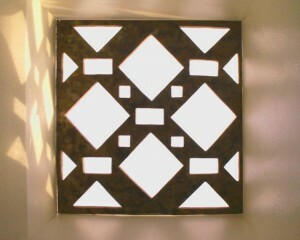 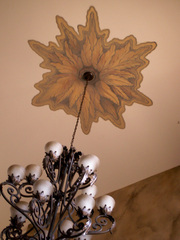 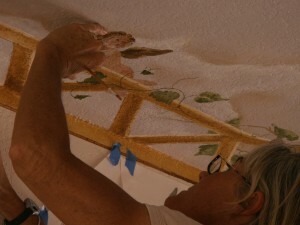 This is our most recent ceiling mural. 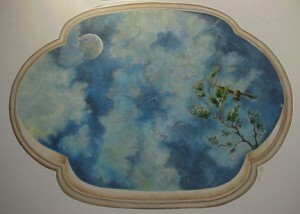 It features a selection of wild birds and is done in acrylic paints. 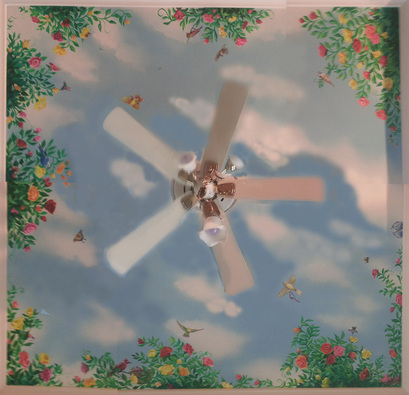 We used spray guns for a soft sky and hand painted the flowers, birds and butterflies. This piece is in a beautiful bedroom so the client can just lay down on their bed and view a masterpiece. 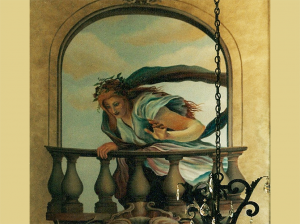 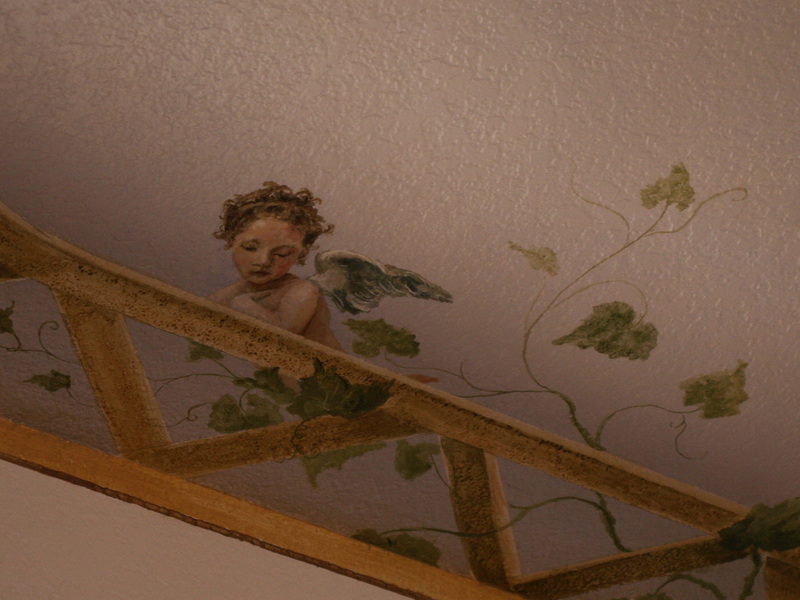 The mural below was done last year for the same client in the downstairs family room. 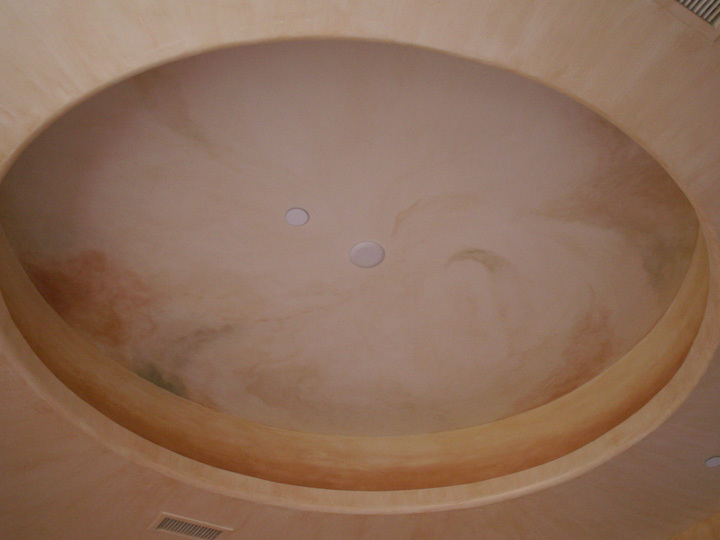 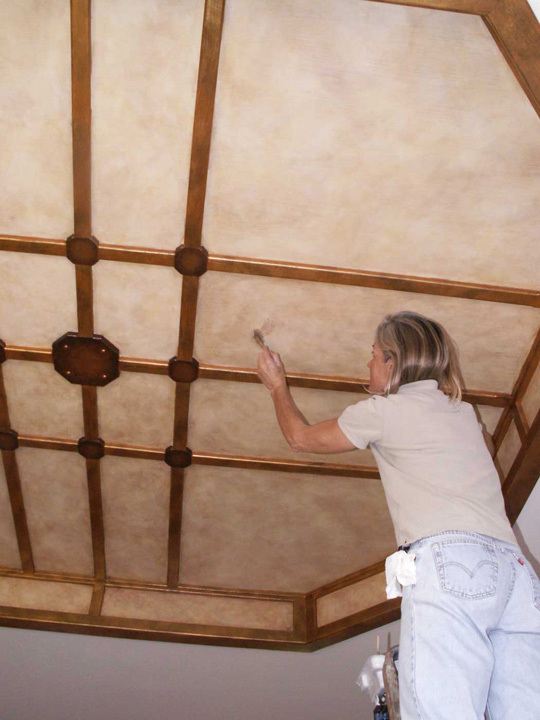 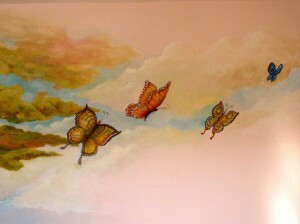 Ceilings are a great place for a mural or soft imagery such as clouds. 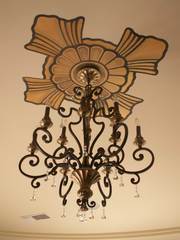 They can be used as an accent area with a medallion around a hanging lamp or handpainted into a ceiling inset. 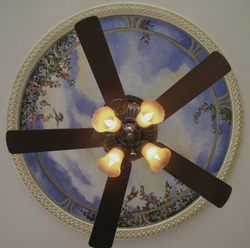 In this inset mural we have vines with hummingbirds appearing to be growing from the outdoors just above the hanging fan. You can also put a soft faux glaze int the inset to set it off and create atmosphere in a room. 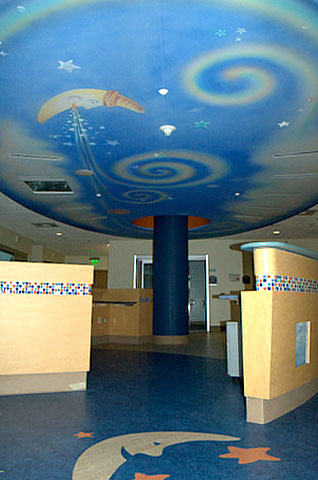 This mural was one of a number of murals done at the new children’s hospital in San Diego, Ca. 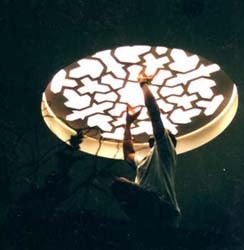 It was 65 ft long and 18 ft wide. 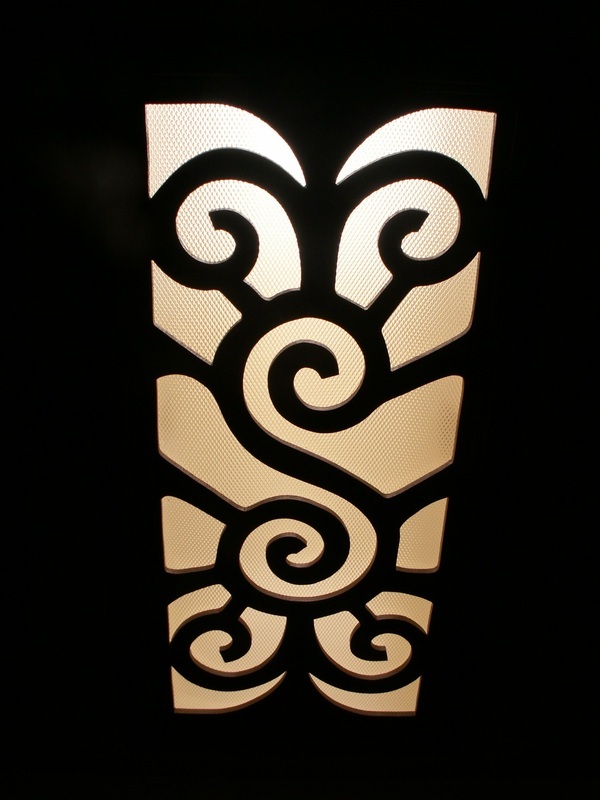 The Studio 2 Team created this on-site using spray guns. 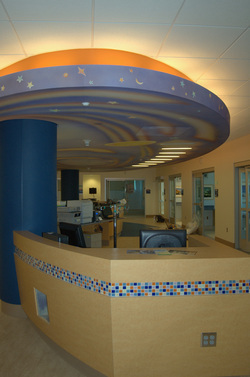 This matching mural with a sun theme was done on the same floor of Rady Children’s Hospital in San Diego, Ca. 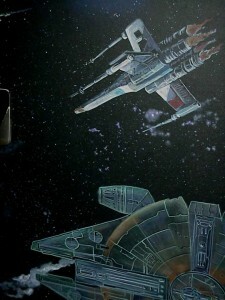 We used acrylic paint applied with a spray gun.